Pictured, Ian Long- Thousand Oaks shooting suspect. Image via FB. Pictured, Ian David Long- Thousand Oaks shooting suspect. Image via FB. Thousand Oaks shooting: California Borderline Bar & Grill nightclub gunman, Ian David Long- recalled as being a weird loner but never violent says former roommate, Blake Winnett. A former room-mate of Thousand Oaks shooting suspect has told of the gunman being weird and a loner. In an exclusive with the nypost, Ian David Long’s former roommate, Blake Winnett told the tabloid that Long was a ‘weird’ loner who practiced dance moves alone in his garage. Of note, Winnett said the former army veteran had visited the bar he shot up- leaving 12 dead- before taking his own life- at least once before. ‘I think I’ve actually gone there with him one time.’ Winnett said. The two men lived together twice before, around 2012 and 2014, in Simi Valley and Reseda, a neighborhood in Los Angeles. 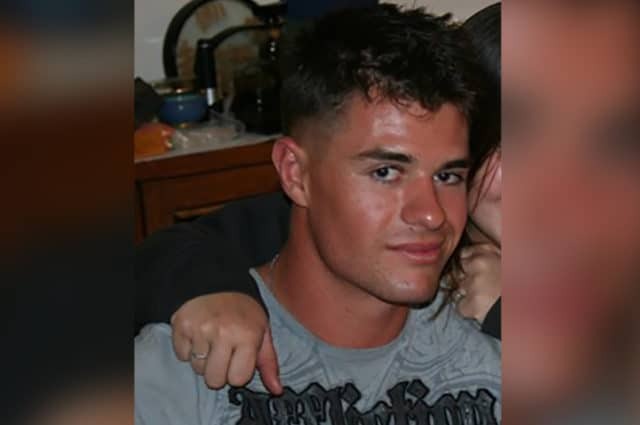 At the time, Long, a 28-year-old former Marine, was a student at a college in Northridge, though Winnett couldn’t remember where or what he was studying. Long had been on active duty with the Marines from August 2008 to March 2013, according to the Department of Defense. Winnett said he knew that Long served two or three tours overseas with the US Marine Corps but not much else. Winnett never witnessed Long get physical with anyone — but said he wasn’t exactly the world’s best roommate. ‘He didn’t want to help anyone do anything. He was just lazy I guess,’ Winnett recalled. When Long was once asked to take out the trash, he snarled, ‘That’s not my f—ing job,’ Winnett said. Since Wednesday night’s bloodbath, authorities have sough to find out what motivated Long opening gunfire inside Borderline, killing bouncers, patrons and Ventura County Sheriff’s Deputy Sgt. Ron Helus, before fatally shooting himself inside an office. Winnett said he hasn’t spoken to Long in years. Thousand Oaks shooting victim’s id: Dad told son, ‘I love you’ hours before. Thousand Oaks gunman ex veteran highly decorated but mom lived in fear of him.